After a 3 year hiatus from dog ownership, our family grew by 4 feet this weekend! The kids have been begging for a puppy since our beloved Great Dane passed away, but I just wasn't ready to bring another dog into our lives. Their pleas could no longer be ignored, and I was starting to miss having a dog, so we started researching breeds 6 months ago. 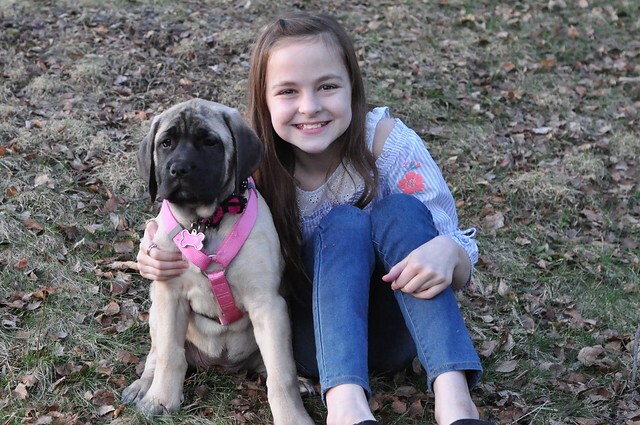 We finally decided an English Mastiff puppy would be a great fit for us, and we welcomed 11 week old Ella into our family on Saturday! I have always been a dog person. I was born into a family who had dogs, I grew up with a variety of breeds, and I've owned three dogs of my own. For me to go three years without a dog was very unusual, but I just wasn't ready to move on after Bailey, who was the best family dog ever, passed away in my arms. I tried to tell myself that I had my hands full with four kids, including one who has special needs, but the truth was I missed Bailey so much. Every time I entertained the idea of getting another puppy, it hit me that it just wasn't HER, and I wanted her back. Every bit as much as I wanted my chihuahua, Pepe, and our first Great Dane, Morgana, back. I had to continuously remind myself that we would love our next dog as much as we loved our first three dogs, and then a flip switched inside of me, and I realized I really missed having a dog! Finding the right dog for our family was a big decision. Not only would this puppy have big paws to fill, but we had to make a very careful choice for Liam. 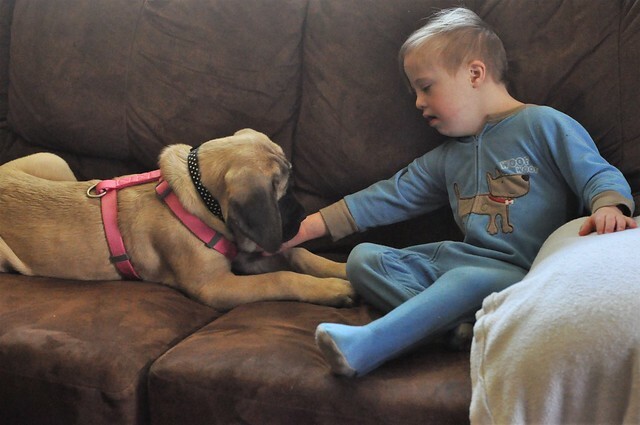 When you have a child who has special needs, bringing a dog into the home isn't as simple as it once was. There were a lot of factors to consider before we began our search for a puppy. Our older kids were impatient, but it wasn't something we could rush. 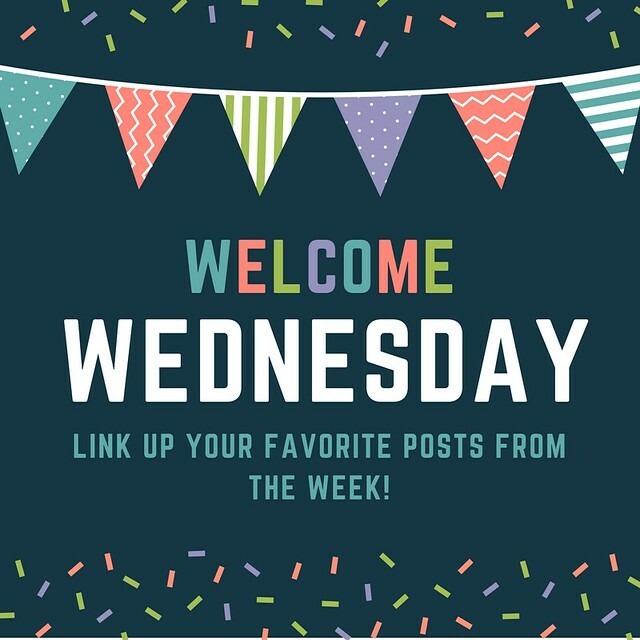 We talked to dog trainers and breeders, and read articles about the best dogs for kids who have special needs before we started looking for a puppy. Although we rescued all of the cats we owned and the rabbits we currently own, choosing a dog is a bigger decision, and my family's safety around the dog is the biggest concern. I know there are so many dogs in shelters that become wonderful pets, but with four kids in our home, we couldn't risk bringing an older dog into our home without knowing its background. We needed a puppy who could be raised in a very loud and busy home, and we needed a specific breed. A few of the recommended breeds for Liam (and kids in general) were Labs, Golden Retrievers, Great Pyrenees, Great Danes, Newfoundlands, and Mastiffs. 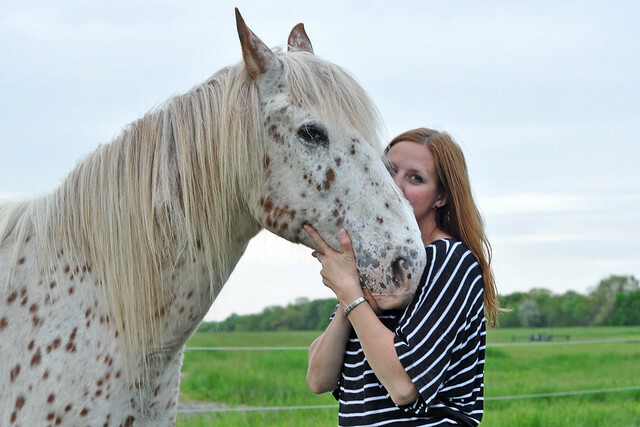 Based on experiences with dogs belonging to family and friends, we knew Liam did best with very large, gentle dogs. Based on our own experience, we knew Great Danes were amazing family pets. 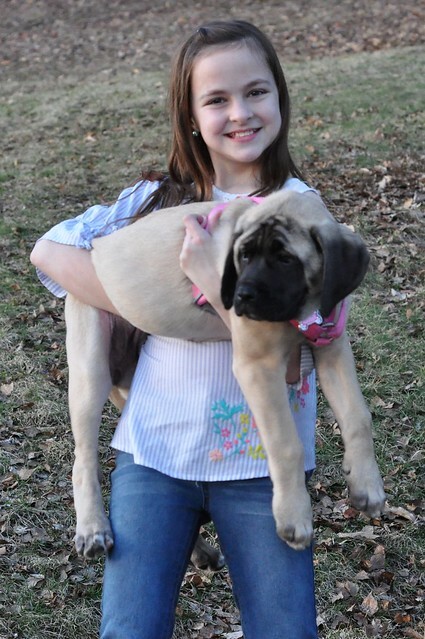 We narrowed down our list to the Great Pyrenees, a Newfoundland, another Great Dane, and an English Mastiff. Ultimately, the final decision rested on Grant's shoulders. The loss of our first Great Dane, from a genetic condition that took her life at just 2 years old, devastated both of us. 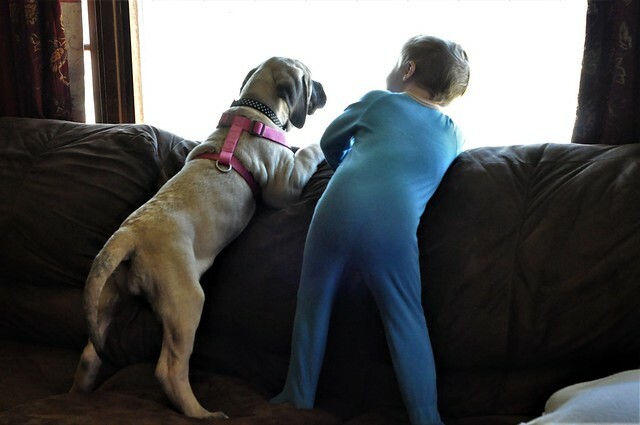 When we brought another Great Dane into our family (Bailey) when Dylan was 5 months old, Grant was afraid to bond with her. Grant isn't a dog person like I am, but he asked if we could try a different breed this time, so I told him to choose the breed from our list. 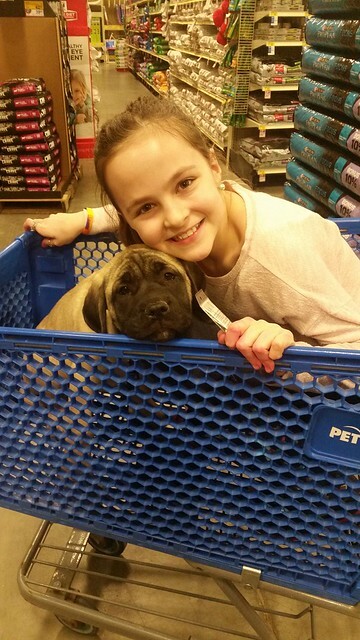 He opted for the English Mastiff! We spent the past two months looking at puppies, and found a litter of puppies that we really liked. Finding the time to make the 9 hour round trip, across the state of Pennsylvania and back, was the most difficult part. 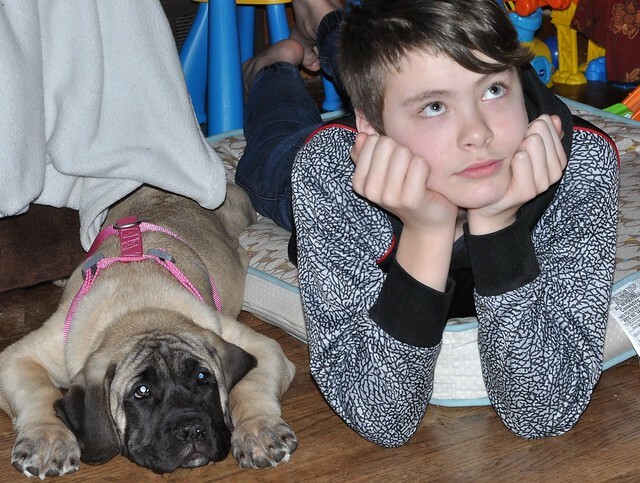 Our kids didn't want to wait any longer, so Grant and Dylan headed out to choose our puppy after Dylan's last basketball game on Saturday morning, while the girls, Liam, and I went flower girl dress shopping! It was hard to hand over the control to Grant and let him do the choosing without me! Our first choice, based on photos we looked at, was chosen the day before we were scheduled to arrive. We were bummed, but her sisters were every bit as cute. The girls and I gave Grant and Dylan the names of three other females that we really liked, and asked them to just sit down to play with them, and choose the best one. Imagine my surprise when Grant called me while we were in the bridal store and nervously explained that they actually chose a puppy that we weren't even considering! He told me she was the only one in the litter who kept running over to them and licking their faces, and when the breeder said he thought the puppy chose them, Grant had to agree. 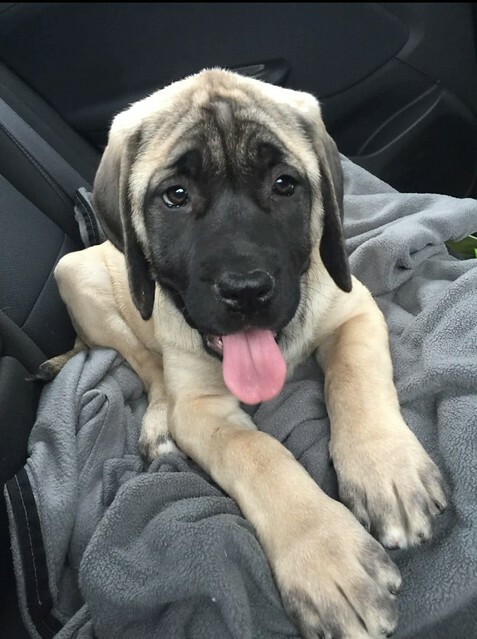 So this VERY large 11 week old puppy climbed in the car with Grant and Dylan, and left a farm in Amish country for a home in a much busier Pittsburgh suburb. Even more surprising was the fact that my husband, who is "not a dog person" actually sounded EXCITED! 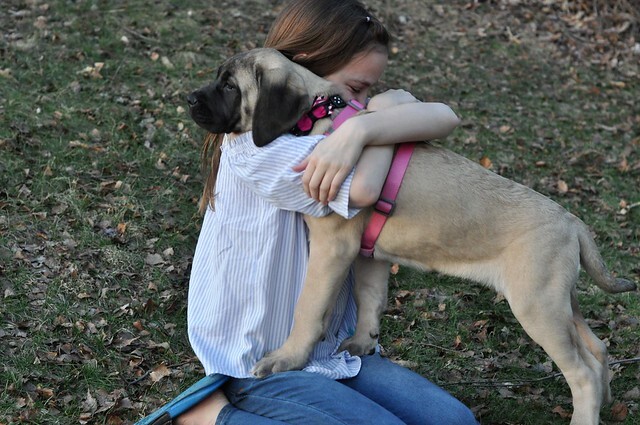 The wait to meet their puppy was excruciating for Lexie and Lily. I tried to keep their minds occupied with flower girl dress shopping, shopping for puppy supplies, and a rare dinner at McDonald's. They were so excited that they were practically bursting! And when the big moment finally arrived, there were tears involved!!! 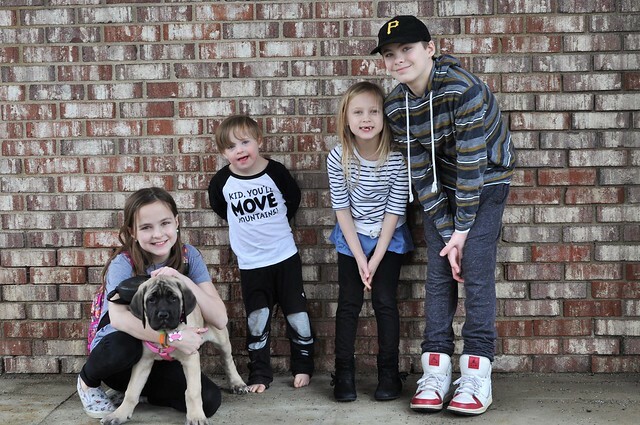 We had a house full of close friends when Grant and Dylan arrived home with our new pet, and Lexie and Lily were jumping up and down while they waited for them to come in from the garage. When Dylan brought her into the living room, Lexie, Lily, and Liam immediately surrounded her, and I knew, without a doubt, that bringing a puppy into our family was the absolutely correct decision! 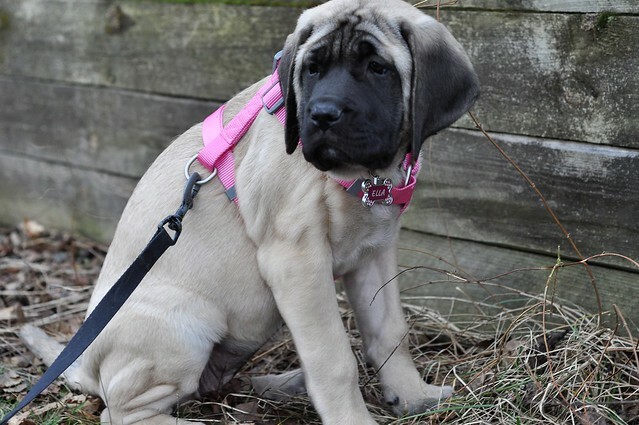 I would share that video, but in full disclosure, there is an expletive from me regarding the puppy's enormous size! 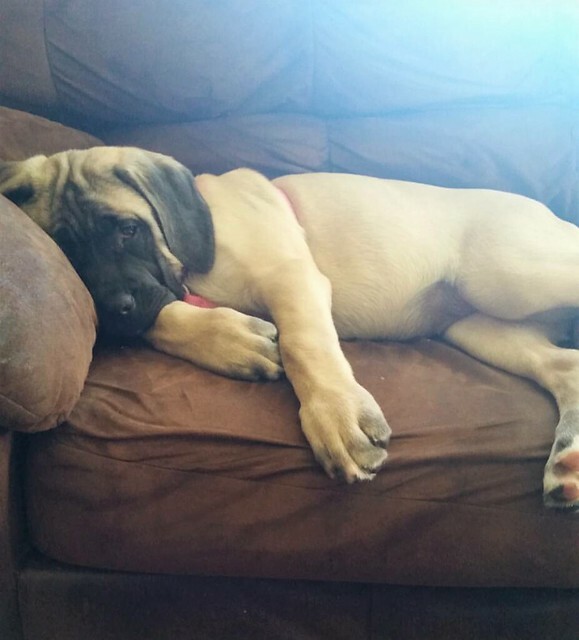 (I seriously wasn't expecting an 11 week puppy to be THAT big, and that's coming from a person who owned two very large Great Danes!) The breeder said she is going to be very big! Grant and Dylan decided on the way home that our puppy's name should be Ella, and we all agreed. And Liam can say her name very well (LaLa) so it worked out perfectly! As the puppy met each member of our family, I could immediately tell that she had a very friendly and sweet personality. She is most definitely a gentle giant already! She was very happy and seemed right at home in room full of noise, chaos and people! As you can see, Ella fits in quite well, and the kids absolutely adore her! 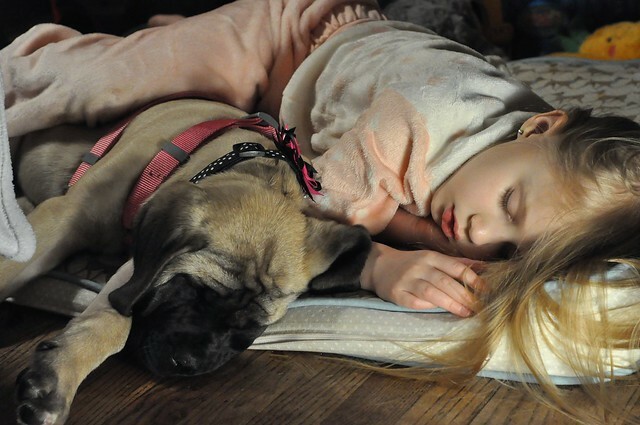 That night, Lexie slept on the dog bed with Ella, because she didn't want her to be sad or lonely. On Sunday morning, the excitement still hadn't worn off, and the kids took over caring for her. 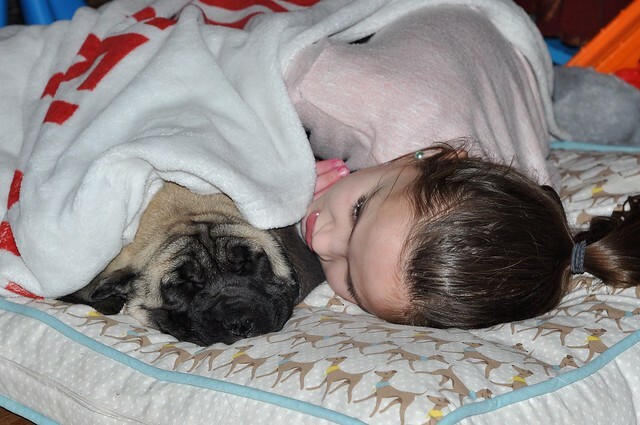 One of the deals we made while we were talking about getting a puppy was that they had to help out with her care. Although I know the excitement will wear off, we are making them keep their promise. I'm sure the fact that they are smitten with her will help! On Sunday, Ella had a busy day. We are an on the go family, and she has to learn to keep up with us. It isn't fair to lock her in a crate (although we are big on crate training) every time we have to leave the house, so she will be riding around with us whenever possible. We made a quick trip to my parent's house, so they could meet their new grand-dog, and it's evident that they will be spoiling her whenever we visit! 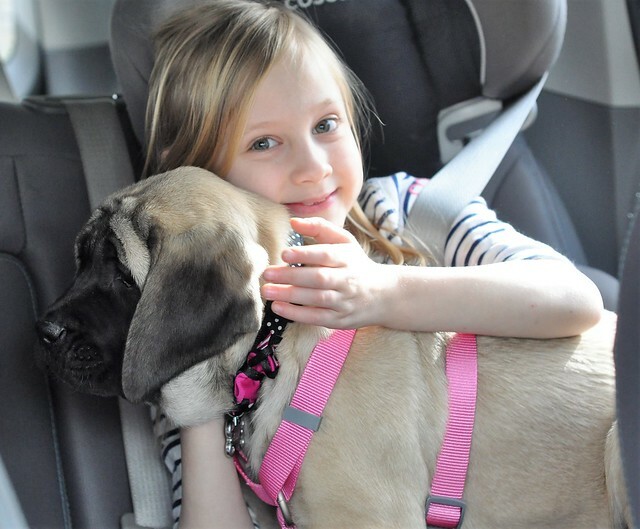 Ella also got to meet Lexie's best friend, Lexie, and her mom, and ride along to drop Dylan off at a friend's house. Thankfully, she is very relaxed in the car! Ella has now been with us for three full days. She is an incredibly sweet dog, and we're all in love with her! She's friendly and playful, and is just a big baby who loves to cuddle! The older kids are very good with her, and she quickly became Liam's partner in crime. Perhaps my "not a dog person" husband's reaction is the most surprising of all! Let me just say that he definitely bonded with her, and she loyally follows him around. Let the record show that HE was the one who let her sit on the couch, and HE was the one who invited her to sleep in our bed tonight! 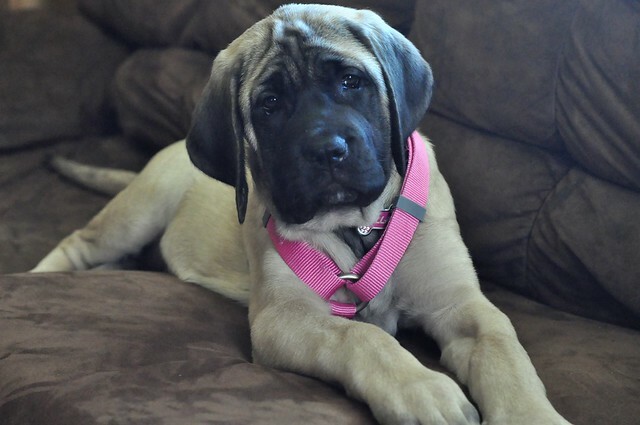 I will remind him of this when she's 150+ lbs! We are on a very strict training schedule, and she is doing well. We pulled up all of our area rugs temporarily, and stocked up on paper towels and disinfectant floor cleaner until she masters house training. We are doing the bell method again, where we lift her paw and hit a bell placed by the door before taking her outside. From experience, I know it won't be long until we hear that bell all the time! We're also working on walking on a leash, walking down hills instead of sliding down them on her belly, and going up and down stairs. 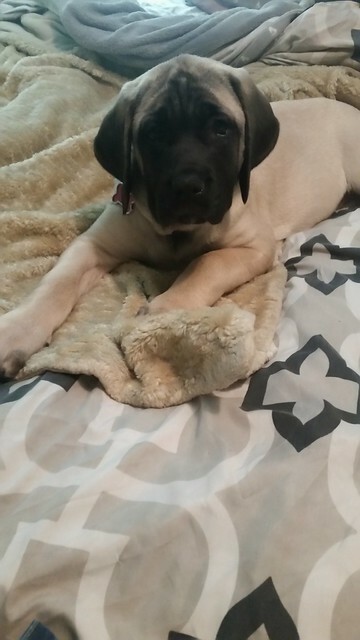 At 11 weeks old, Ella is already around 45 pounds. That's 15 pounds MORE than Liam. It's hard to carry her on the stairs now, so I can only imagine how much more diffcult it will be in a month! The only issue Ella is experiencing is missing her brothers and sisters when we turn the lights out. Last night was the worst night. She whined for hours, and I only ended up sleeping from 5 AM until 6 AM. Tonight, Grant lifted her into our bed because he couldn't handle listening to her sad cry, and I have yet to hear a peep from her. Our sweet, big girl is already spoiled and VERY loved! Ella fits in perfectly with our family! She whines when the kids leave for school and Grant leaves for work, greets them eagerly when they return home, and she LOVES to play outside with us. She joins us on car rides without a fuss and is friendly with every person she has met so far (and there have been a lot of new people in the past four days)! She is the perfect addition to our family, we love her so much already, and we can't wait to watch her grow! Oh my goodness she is so adorable. She's going to be huge! We tried the bell training thing but my dog was scared of everything, including the bell, lol. 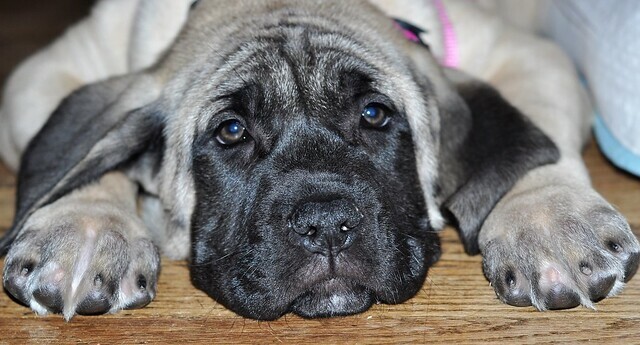 Fellow Mastiff mom here. Aren't they the best? They can be intimidating because of their size, but I tell people the only scary thing about ours is the possibility of being covered in slobber. Our Rebel is two-years old and weighs 145 lbs. We live in a rural area and he gets to roam outside all day while we're at work. My neighbor sent me a video she took one morning of his head sticking through her doggie door. He loves playing with her rat terriers and she hadn't let them out yet that day. He also visits the other neighbors who feed him a hot lunch and let him nap in their living room. 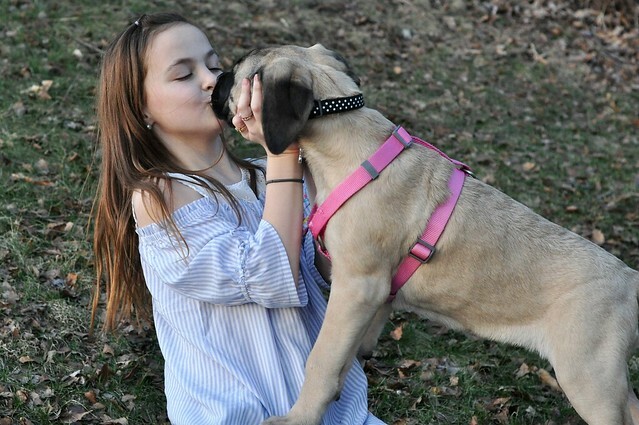 Further proof EVERYONE loves an English Mastiff. 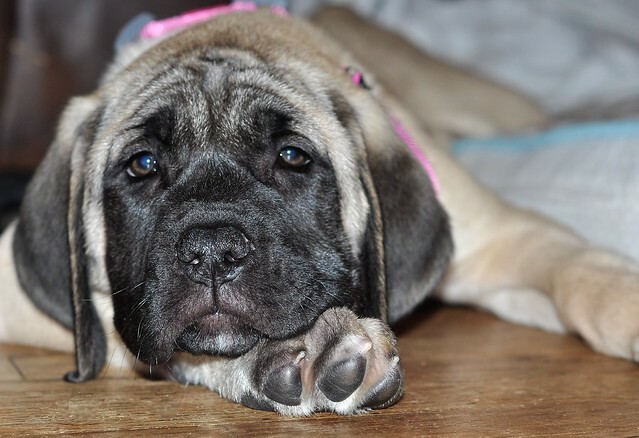 Welcome to the wonderful world of Mastiff! What a sweetie pie! You guys are going to love that sweet baby so much! That face! I can't get over that precious puppy face. So excited for this new adventure for your family. How sweet! I can't wait to follow along on your new journey with your pup! Oh my gosh she is ADORABLE!! So so cute!!! Congrats on the addition to your family! Ella is adorable and I'm sure she's quite loved by everyone.